Avocado aliens, a walking colon with a face, and puppymonkeybaby – 2016 saw Super Bowl advertisers abandon sentimentality in favour of all things absurd. 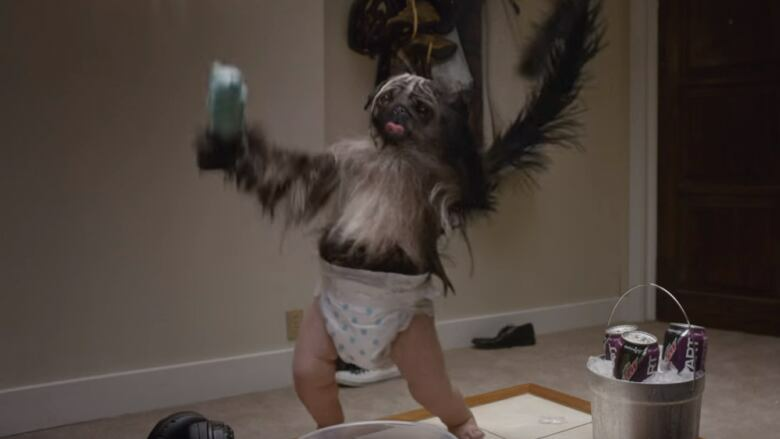 ​From tear-jerking ads about puppies and babies to a puppy that's also part monkey, part baby, the Super Bowl ads of 2016 were decidedly less sentimental – and a lot more weird – than what we've become used to seeing on game day. Avocado-obsessed aliens? A walking colon with a face? Award-winning actor Willem Dafoe dressed as Marilyn Monroe standing over a vent as his skirt billows in the breeze? If last year's advertisers banked on the power of emotions, this year they invested in making NFL viewers laugh — some more successfully than others. And yet, while humour seems to have dominated 2016's Super Bowl commercials on the whole, star power was equally present among the most widely-shared spots this year. The list of celebrities featured in ads during Sunday evening's broadcast reads like a Hollywood hotshot's private phone book: Matt Damon, Helen Mirren, Kevin Hart, Christopher Walken, Ryan Reynolds, Amy Schumer, Arnold Schwarzenegger ... we could go on. Denver may have beaten Carolina to win Super Bowl 50, but there were far more than two teams playing in the high-stakes, high-budget game of commercials during football's biggest night of the year. Here are 15 brands that came away winners this year, based on reach, response and critical reception. Who better to warn America about the dangers of drinking and driving than Dame Helen Mirren, who describes herself in this Budweiser ad / responsible drinking PSA as "a notorious frank and uncensored British lady"? This commercial was one of Super Bowl 50's most applauded online, both during the game and ahead of it after Budweiser's YouTube pre-release. Ultrasound is yet another Doritos commercial sourced by the brand's annual 'Crash the Super Bowl' contest. Created by Peter Corsairs of Perth, Australia, it was one of 2016's most polarizing (and, to some, disturbing) spots. Watch, if you dare, to find out why. "It's time to #BALLOGIZE." Steve Harvey (and by proxy American wireless provider T-Mobile) impressed Super Bowl viewers with this self-deprecating ad that pokes fun at his recent Miss Universe flub. As advertising buffs live-tweeting this year's Super Bowl commercials predicted, #Puppymonkeybaby was trending on Twitter within minutes of its broadcast during Sunday night's game. That said, reaction to the ad itself was very much a mixture of "this is awesome" and "this will give me nightmares forever." The protective father played by Kevin Hart in this ad for the Hyundai Genesis proved controversial as well. Some saw the comedian's extreme helicopter parenting as funny, while others found the ad misogynistic and creepy. Either way, it's getting tons of traction with more than 11 million views on YouTube alone. "In a galaxy not so far from here, a group of aliens tour the Museum of Earthly Wonders to see all the unique stuff the little blue planet has to offer," reads the description of this ad, produced by an avocado company. "Prepare to learn all there is to know about Earth's strange inhabitants through fascinating and mysterious earthly artifacts such as the commercial airliner, emojis, and Scott Baio." Like we said, the commercials were weirder this year. A group of sheep singing Queen's Somebody to Love is really all the internet seems to have wanted from Super Bowl ads this year. By and large, this commercial was one of the highest-praised on Twitter during Sunday's game. Aerosmith's Steven Tyler bursts the Skittles rainbow with his iconic voice in this ad, which also features a portrait of the rockstar comprised entirely of Skittles. The fact that this spot is set to the tune of David Bowie's 1972 classic Starman was more than enough for many viewers watching the game to get choked up. While it's unclear if the track was chosen before the singer died last month, some saw the commercial as a tribute to his memory. Actor Jeff Goldblum, rapper Lil Wayne and the theme song from The Jeffersons combined to vault this cute and catchy ad into the hearts of viewers across multiple age and interest groups. It's safe to say that this ad for Xifaxan is now way more popular than your average diarrhea commercial. Twitter loved it, as well as a different ad by AstraZeneca about constipation, so much that "Super Bowel" actually become a thing on the internet Sunday night. Yup. Amy Schumer and Seth Rogen poke fun at the U.S. Presidential election of 2016 by campaigning for the "Bud Light Party" on a platform of Paul Rudd and beer. Nintendo's Pokemon Super Bowl commercial was the very best, like no one ever was… which was an easy feat as this was the first-ever Pokemon Super Bowl commercial. Launched in celebration of the franchise's 20th anniversary, fans ate this ad up – especially ahead of the game, where it had earned the most online views of any pre-released Super Bowl ad for 2016, according to the Wall Street Journal. If you've ever dreamed of seeing hundreds of dachshunds dressed up like hot dogs – or, to put it more cohesively, hundreds of wiener dogs dressed up like wieners – you can thank Heinz for this adorable masterpiece. Like Bruce Banner turning into The Hulk when he's mad, this Snickers ad suggests that late actress Marilyn Monroe morphed into Willem Dafoe when she got hungry. Who knew? Multi-million dollar Super Bowl ads: good TV, bad business?